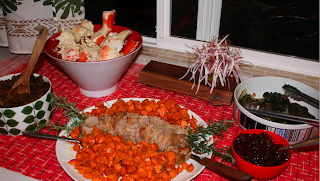 We had a wonderful Christmas Eve dinner here at the house with some neighbors. 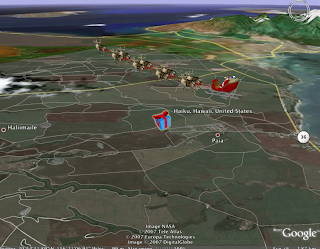 We tracked Santa on the internet and I managed to get this image of Santa delivering packages right here in Haiku! 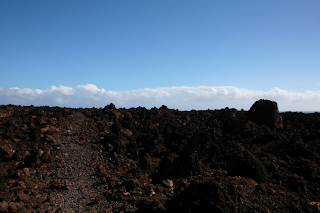 Yesterday we took ourselves on a Christmas day hike across the lava fields to Kanaio Beach (we were the only people there) on an ancient Hawaiian trail known as The Kings Highway. 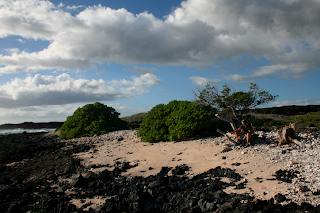 To get to the trail you go to the southern tip of the island to La Perouse Bay. 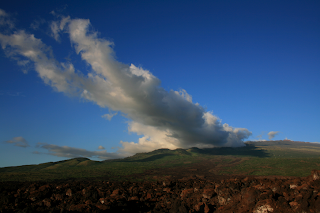 The Hoapili Trail was built in its present form by Governor Hoapili (1824 -1840)...for whom the trail is now named. 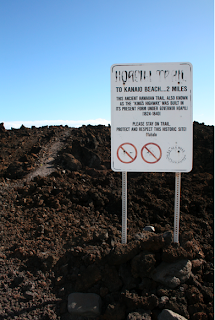 It is a mile hike to get to this sign from the car then another 2 miles to get to the beach. We continued past the beach for about another mile, so by the time it was all said and done we hiked off some of those baked goods I have been making on an 8 mile hike. 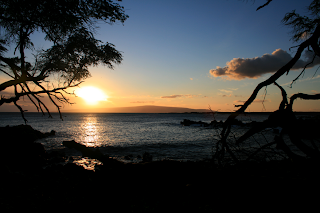 We started at 2:00 and finished around 6:00... just as the sun was setting behind Kaho'olawe. 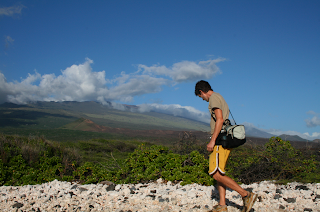 Here are a few pics from the hike to warm those of you up back home in NY and Indiana. We hope you had a wonderful day too. 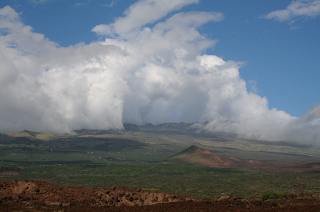 A few spectacular cloud formations on Haleakala. 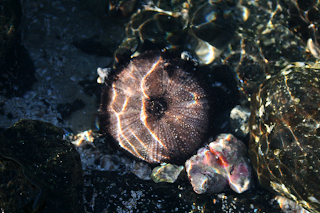 Beach combing and an urchin. John taking a snack break. I super love the floral arrangement. Is that the wooden ikebana thing you got at the church bazzar? sooooo chic. yes.. yes it is with super fragrant purple spider lilies.